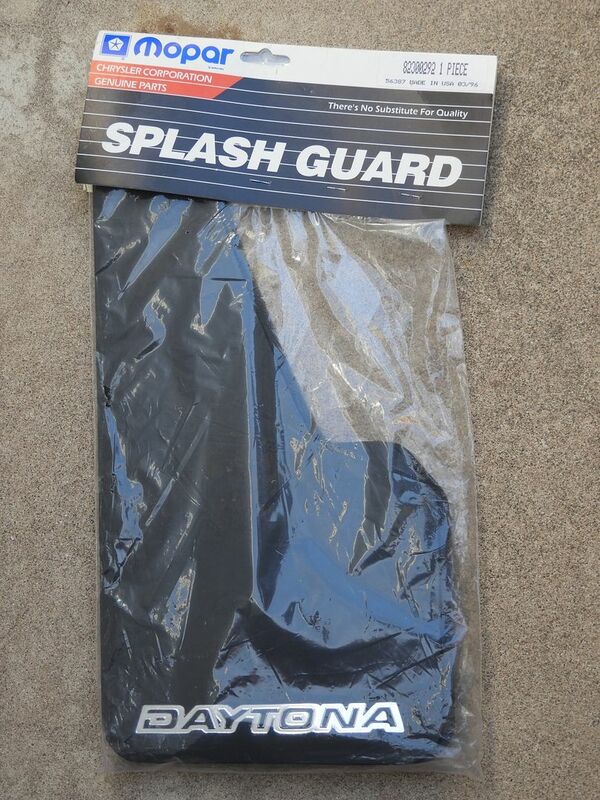 I have 46 different Guard sets 1975-2000. Each set has a pair of guards. All are NOS Mopar. Some come in your choice of white or black. Why white as it seems like that color would always look dirty? Have lots for the FWD as well as trucks and RWD vehicles. This one example I have 24 sets! Also have the rare 1992-93 Daytona Euro versions that are contoured and not flat. I have them for the Reliant and the Aires cars!!!! !